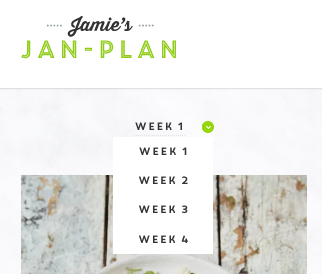 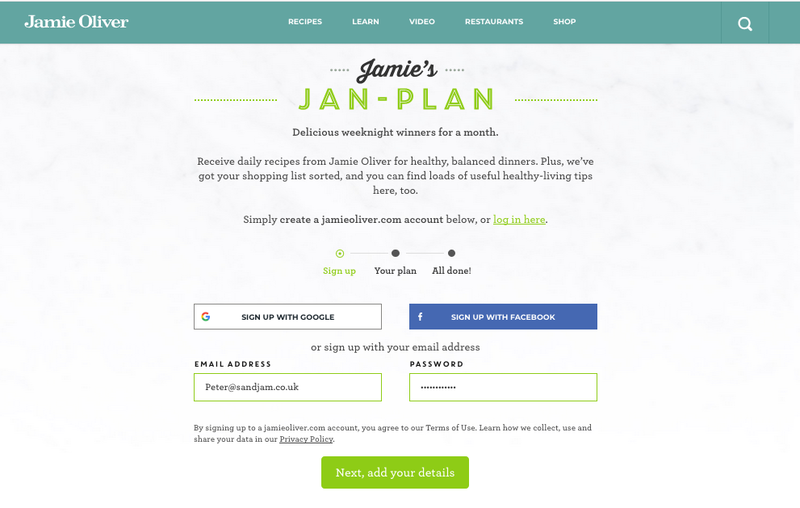 This online meal-planner encouraged users to sign up to get access to four weeks of healthy recipes to start the new year. 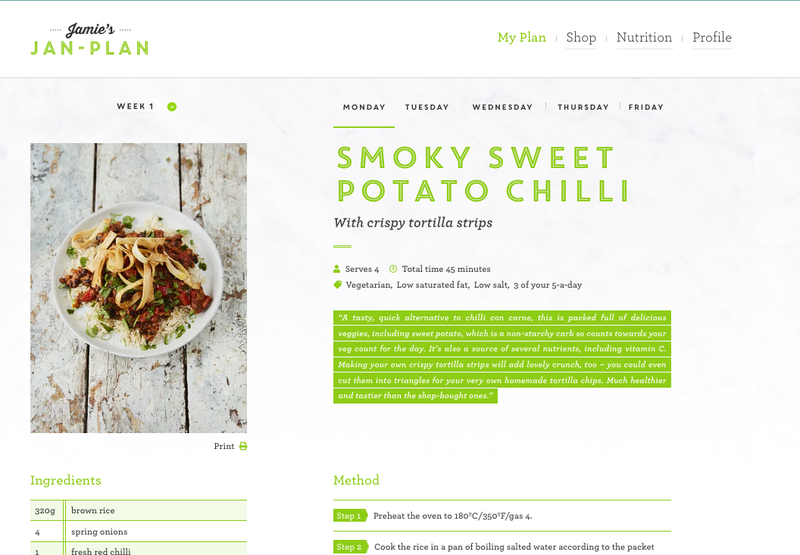 Linked in to the existing sign in system, the registration process gathers some additional parameters to complete a user’s profile and allows them to choose between one of 5 different mealplans corresponding with different special diet preferences. 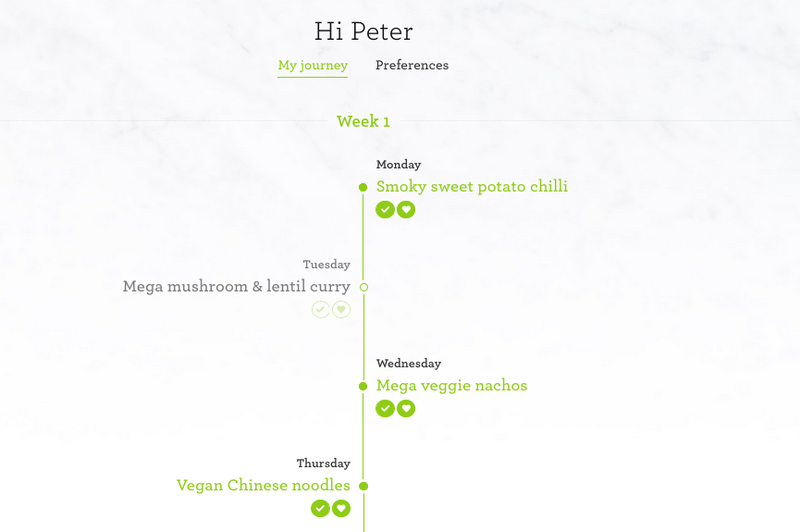 A further integration with the email marketing platform allows welcome emails and custom weekly emails to be dispatched according to the mealplan chosen. 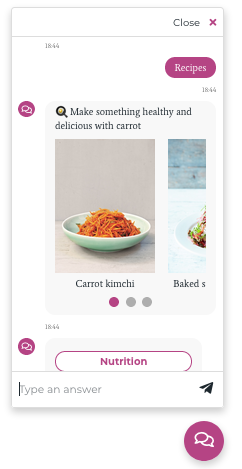 A custom on-site chatbot was built to deliver ingredient and nutrition information in an engaging and novel way.